CityFibre has awarded the next phase of a £100 million high-speed broadband roll out in Edinburgh to infrastructure provider Amey. The existing 150km network in Edinburgh was constructed in less than a year and it currently serves more than 320 schools as well as libraries, community centres and administrative facilities of Edinburgh City Council. 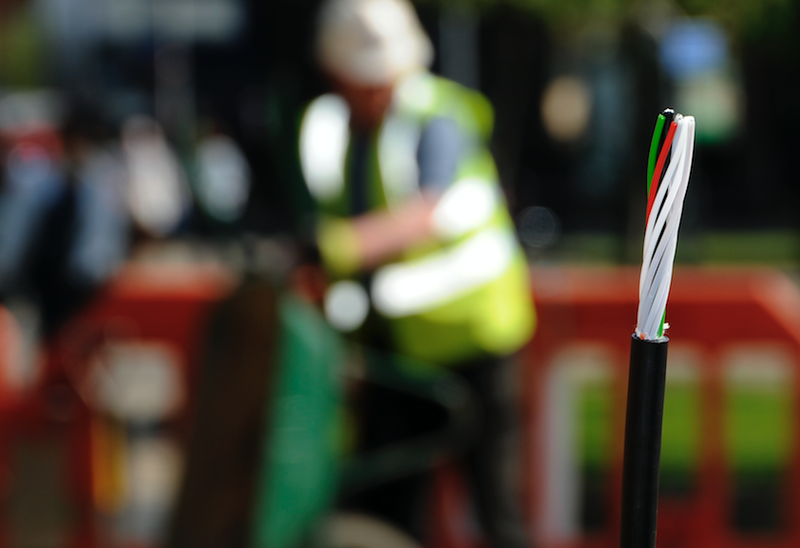 It will now extend fibre to homes and businesses across the city and the agreement with Amey is amongst CityFibre’s first strategic partnerships with construction companies as it accelerates its plans to reach five million homes across the UK by 2025. It expects to connect 125,000 homes a month. There has been some concern that rival firms are repeatedly digging up the roads and pavements, causing disruption to businesses, residents and commuters. Openreach, as well as CityFibre, is installing fibre-to-the-premises (FTTP) broadband, which promise download speeds of 1 Gigabit (1000 Megabits) per second. CityFibre starts work today in Balerno while Openreach has already begun work in some areas, including Abbeyhill, Corstorphine, Newington and parts of Roseburn, Gorgie, Haymarket and Murrayfield. It is also due to move into Morningside, Davidson’s Mains and Colinton. Councillor Lezley Marion Cameron, vice convener of Edinburgh council’s housing and economy committee, said: “Becoming a globally competitive digital city, and the Data Capital of Europe is a key priority of Edinburgh’s Economy Strategy. “This continuing investment will see more Edinburgh citizens experience a transformation of their online world at home. For the wider Edinburgh economy, this brings increased productivity, employment opportunities, innovation and helps facilitate and underpins delivery of our Economy Strategy.